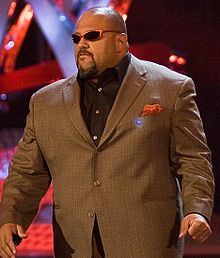 Peter Senerchia (born October 11 1967) is an American retired professional wrestler and current color commentator best known by his ring name Tazz, (originally Tazmaniac and later shortened to simply Taz). He is currently under contract to Total Nonstop Action Wrestling. On the 3rd April, 2009 he was dismissed by WWE. This page was last changed on 18 February 2015, at 04:02.